These crafty coastal vibes will just make you happy! 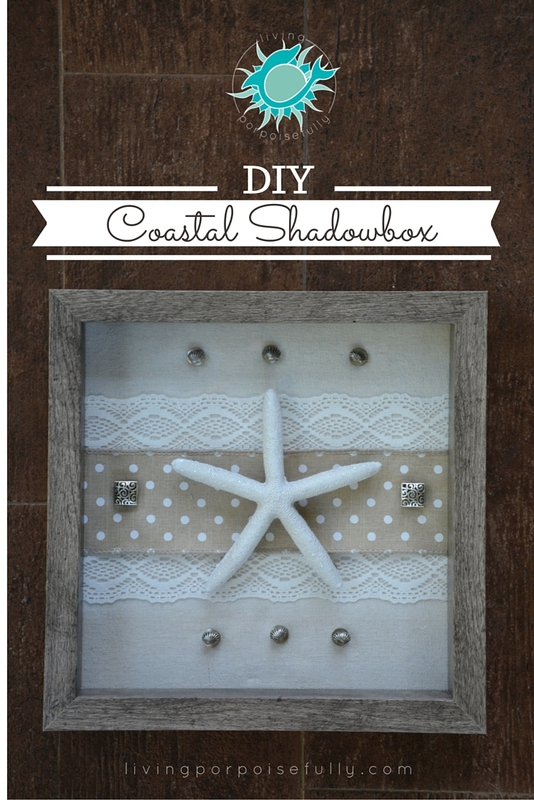 Get to making some sweet creativity in the form of a super-simple and mess-free coastal shadowbox. What is it about moms that make you want to make them proud and be your absolute best? Ours are in leagues of their own, and everyday we are so grateful for their incredible presence in our lives! To honor them this Mother’s Day, we made a DIY craft in celebration. While it doesn’t come close to saying how much we appreciate them, we hope they’ll feel the love in the handmade and beach styled design. It’s a sweet coastal shadowbox made with lace, polka dot ribbon, a faux starfish, and sea-inspired silver beads! We’ve got the easy how-to steps below, and we hope it gives you ideas and helps inspire you to make a beautiful gift, or simply as a handmade craft for your own home. Enjoy! Cut your ribbon so that it wraps around the back. Tape it down so that it stays. Use hot glue to attach the thumb tacks to the beads and starfish. Figure out where you want all of the pieces (starfish and beads) first, and then press them into the backing of the shadowbox (they do leave holes if you decide to reposition them!). Insert your design back into the shadowbox frame, and you’re all done! That’s all there is to it! There are so many possibilities with different kinds of ribbon and beads, so enjoy being creative. Whether you end up making it as a gift or for your own home, the crafty coastal vibes will simply make you happy. Now it’s time to spread the sweet creativity — pin it, share it with your beach buddies, and get to making your own!